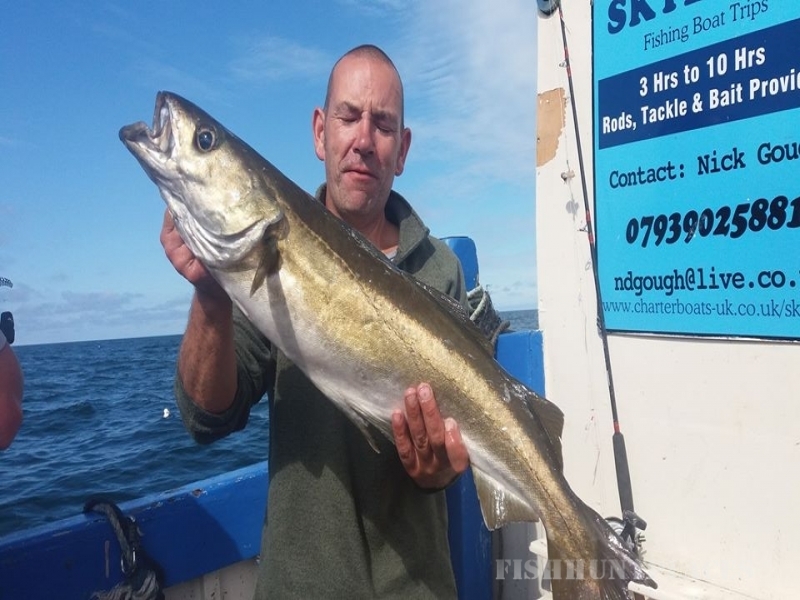 Renowned worldwide for it's quality sea fishing heritage, Scarborough on the beautiful Yorkshire coast is the ideal port to charter a boat for an angling trip. Luckly for Scarborough there are many places to fish, most of these places we fish are natural scars of rock, kelp beads and generally really rough ground ideal for Cod and Pollock fishing. 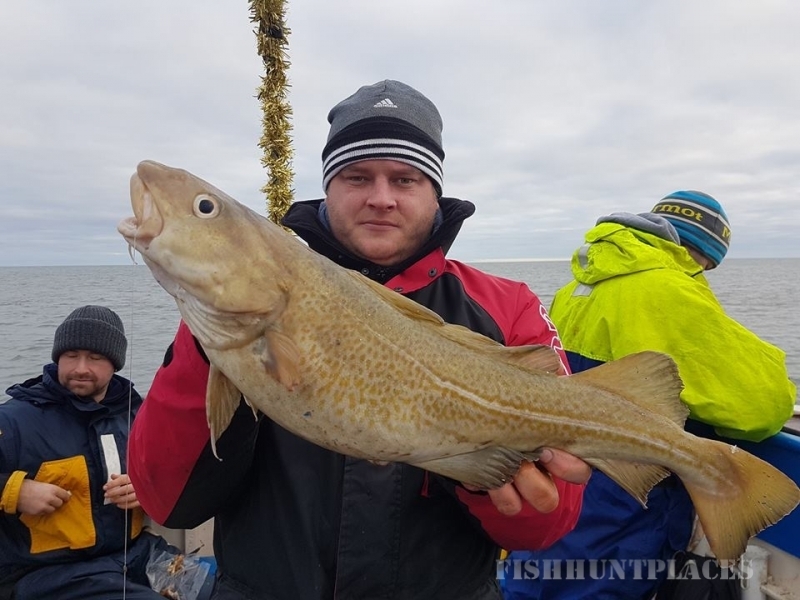 There are many marks we fish, some are only a few minutes away from the harbour and others can span upto Filey Brigg or Ravenscar again two very good cod grounds. Also close to Scarborough are many old ship wrecks, mainly ships that were sunk in the war, and some old trawlers. These wrecks can produce good Cod, Ling, Pollock, and many other fish. We have 24 Wreck within 5nm of Scarborough, some we can even use on our 3 hour trips when weather and tides are correct. We also have 80 wrecks within 10 nm of Scarborough, we use these on our longer trips when tides are suitible (from these wrecks we have had some very good bags of fish with several anglers taking over 100lb of fish in 8 hours). Scarborough also has 116 wrecks within 15 nm but we have never needed to used these wrecks with passengers as the distances between wrecks can be a good steam away. Unfortunately both these grounds are very tackle hungry so be prepared to lose a couple of leads and rigs. We also fish sand banks and dumping grounds for the whiting and flat fish if customers are happy with doing this. 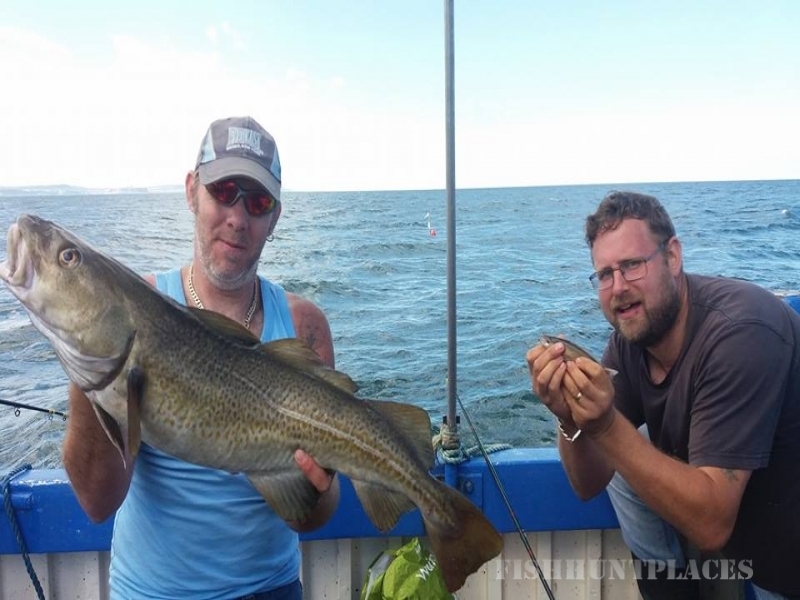 We can also do specialized thorn-back fishing trips if we can get enough anglers who would like to target them. we have more information available on the relevent pages.